Filing for bankruptcy is probably the last resort that people and businesses want to be reduced to. There are a number of reasons for it. On the other hand, some view this as a way out of a sticky situation. We will discuss the debate on whether bankruptcy is an instrument for liberty or not. The answer to this can vary widely based on the situation you are in. So, let’s look at both sides before coming to any conclusions. However, first, let’s understand what bankruptcy actually is. In the eyes of the law, bankruptcy is a legal process in which the liabilities and assets of an individual or firm are weighed to decide whether the individual can still pay off their debt or if they should be legally exempt from this. However, an individual or business must first file for bankruptcy before the court will actually consider their plea. This can be done in two ways. 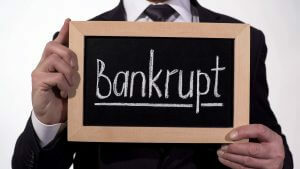 A person can file for bankruptcy on their own or they can hire an attorney to do it. If the court does declare you bankrupt, they will take control of all or most of your assets to pay off your creditors. Not only will your creditors not be able to contact you asking for what you owe them, but you will also be declared debt free. The only dues not cleared on your behalf are the loans that you co-signed with someone, student loans, alimony, child support, or money that you owe to the government such as unpaid taxes, penalties, and fines. You will further have to pay for the case of bankruptcy to be filed in court. Is Bankruptcy an Instrument for Liberty? In our opinion, bankruptcy can be an instrument for liberty in some cases. If you are under a ton of debt, your assets aren’t sufficient to pay them off, and you are constantly being pestered by lenders, filing for bankruptcy is the right option. However, even after declaring bankruptcy, it is not a guarantee that your creditors will stop pestering you. Secondly, after filing for bankruptcy, you will have no assets to fall back on. You will have to rebuild your life from scratch. Unless it is in the case of huge multinationals that will just need some restructuring, cost-cutting, bookkeeping scrutiny, and a few tough decisions made in the ownership. On top of this, your bankruptcy will become a matter of public record that can easily be accessed by potential lenders, landlords, and employers. You might have a harder time renting or getting a loan. Landlords and banks may assume that you are a liability and will have a hard time paying your dues. Yet, are these issues really a problem compared to your mounting debt? If you have nothing left to lose and no way out, the only option to free yourself may be declaring bankruptcy. Will You be Free after Filing for Bankruptcy? Filing for bankruptcy is just the tip of the iceberg. Not only will you have to pay for filing the case, but if you aren’t filing the case yourself, you will also have to hire and bear the fees of an attorney that will cost you a decent amount of money. Going to court and simply stating that you’re broke isn’t enough. As ironic as it sounds, you will have to pay money to declare that you don’t have money. https://www.completecontroller.com/wp-content/uploads/cclogo_main-long-300x63.png 0 0 Complete Controller https://www.completecontroller.com/wp-content/uploads/cclogo_main-long-300x63.png Complete Controller2018-07-24 10:44:132018-07-26 06:45:59How can Bankruptcy be Used as an Instrument for Liberty? QuickBooks Online vs QuickBooks Desktop: Which Is Right for You? What is Causing the Death of Brick and Mortar Retail Stores?